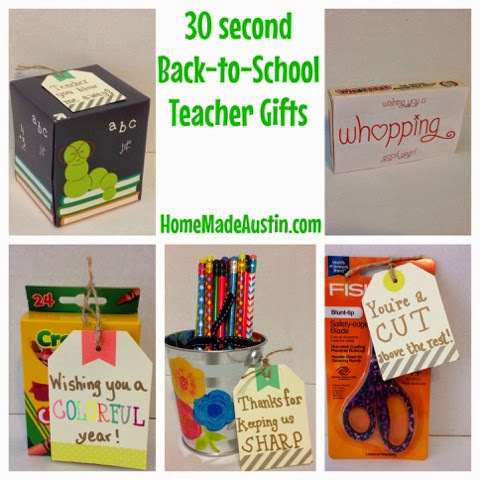 Even if you don't have time to create a handmade, elaborate gift, you can still show your child's teacher that you are excited about the new year & pumped they're going to be teaching your little one! And these gifts are super-useful to boot! What teacher couldn't use some extra supplies? All that's needed is a quick trip to the Back to School aisle, but hey, you're going there anyway right? Just pick up a few extra items & you're set. Oh & just so you know, Target did not sponsor this post, but I got 95% of my supplies there, because, well....I have a Target problem. And my obsession with their 'Dollar Spot' knows no end. But you could absolutely pick up most of these items anywhere you happen to be. 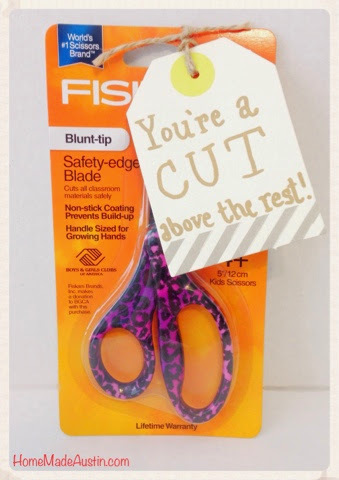 Scissors have gotten fancy y'all. I found this great, colorful pair in the school supplies section at Target, but I've seen lots of brands and tons of different styles & hues at all kinds of stores from Wal-Mart to Hobby Lobby to Office Depot. Pick up a pretty pair, write yourself up a tag, or print one with my silly saying or your own line & you're good! Again, there are a bunch of cute choices when it comes to buying a box of tissues. 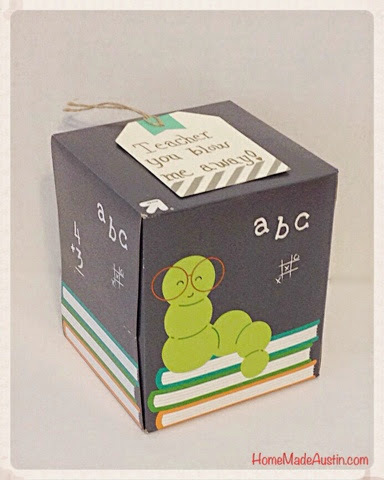 This great school-themed box at Target, but I've even seen stylish patterns at Dollar Tree. Tape on a little note & you're ready to send you kiddo off, gift in hand. I took a few minutes & painted some pretty flowers on this mint/white stripped bucket, but it's still darn cute plain. 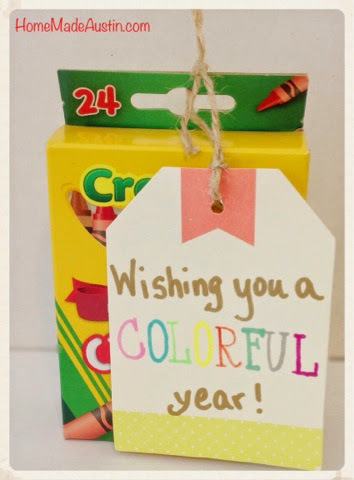 Pick up some school themed or fun colored pencils, tie a ribbon around those things & you've got an adorable present. Out of all my 30 second gifts, this one is probably my favorite. 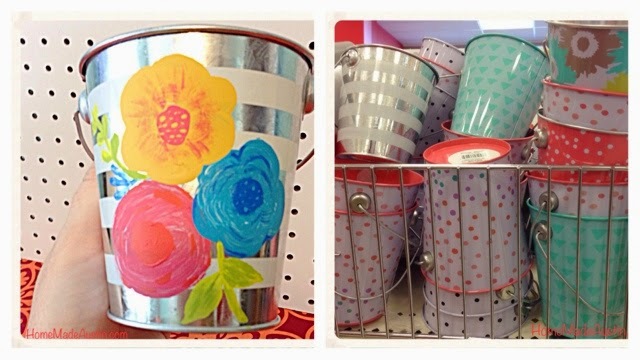 I can't resist the 'dollar bins' at stores like Michael's, Target & more. They make me weak in the knees & I just can't go into a store that has one of these sections without scoring it over to see what I 'have to have.' 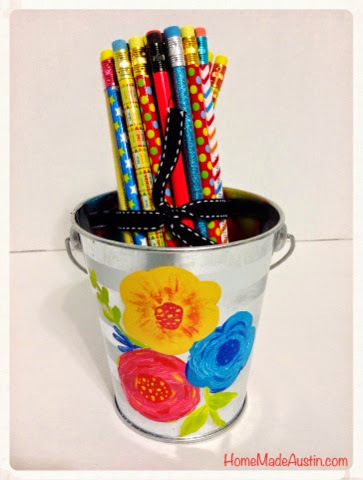 They almost always have adorable tiny tin buckets & I'm always looking for ways to use them. These are just a few that I saw at Target's 'Dollar Spot' a couple of days ago. Wouldn't each & every one be an awesome pencil holder? If you've got elementary aged little ones, then you know the importance of a good box of crayons. For older classrooms map pencils, sharpies or markers would be great sub-ins. Right now these are all on-sale for pennies & your kiddos classroom could always use a few extra re-enforcements. Write/print out a note: done & done. 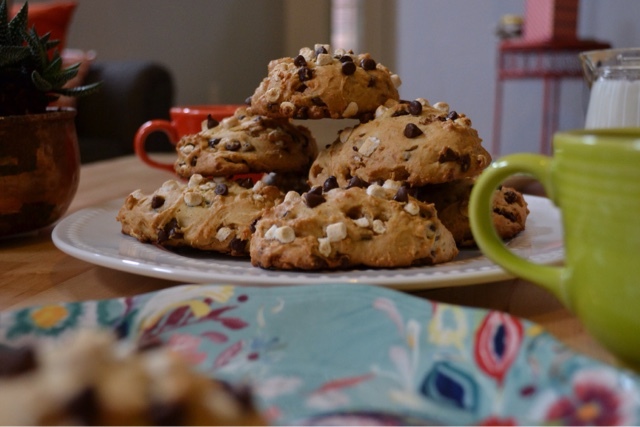 Everyone needs a sweet treat to help get through that first week of class, especially the teacher! 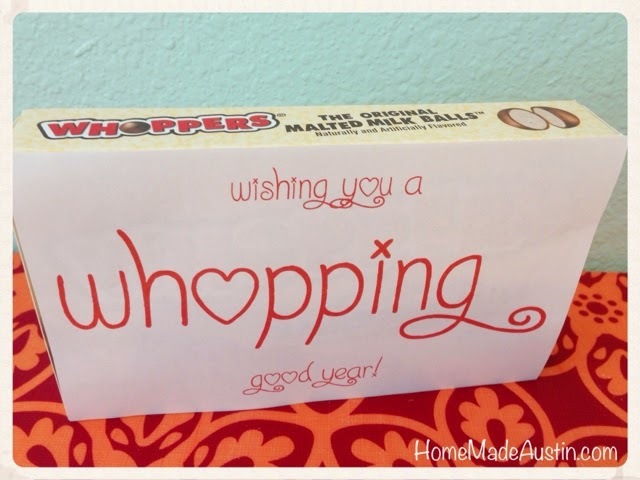 Whoppers are one of my sister's favorite candies, so I had to put one in here that was just for her. If you think this particular candy's not your teacher's bite of chocolate, a cheesy, silly saying wrapped around any goodie would be a perfect way to say 'Welcome Back!' You can never, ever go wrong with a little sugar. 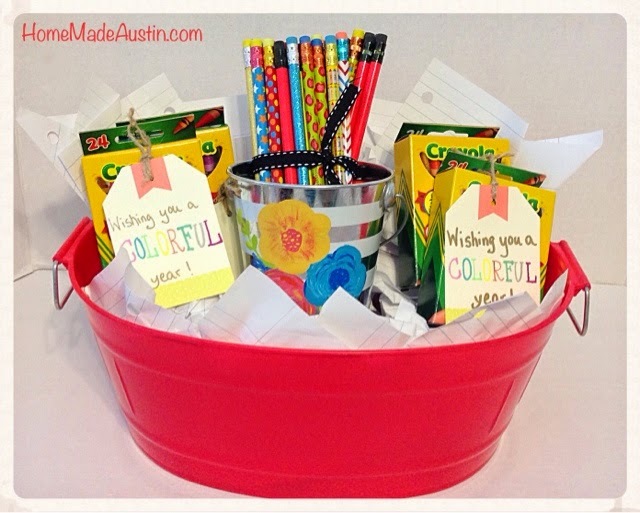 If you've got a few minutes, rather than a few seconds to spare why not put a few of these items together to create one stellar Back-to-School basket? I found this trendy coral-colored tub at Dollar Tree & used plain 'ol binder paper in place of tissue. Super fun & still really inexpensive & quick.